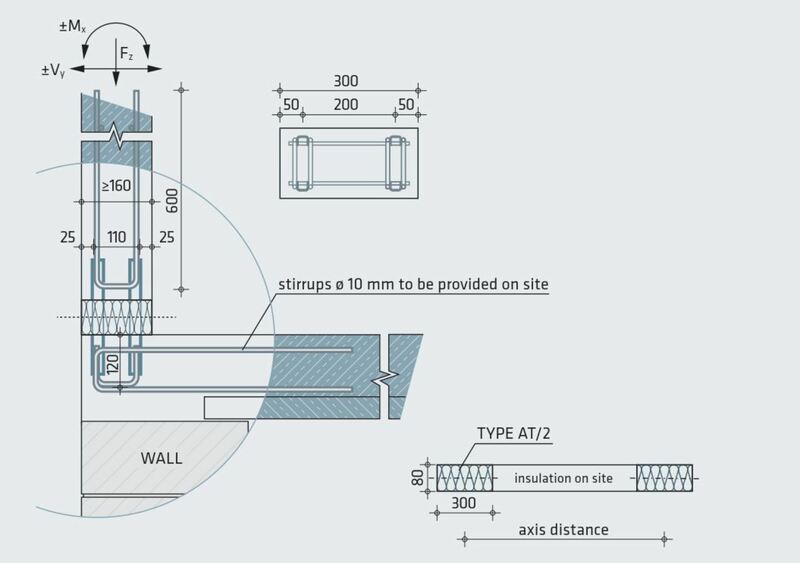 The AVI insulated balcony connector is a load bearing component that provides thermal insulation between reinforced concrete building elements. It is used to improve thermal insulation in the junction of cantilever slabs made of reinforced concrete and the inside of buildings. 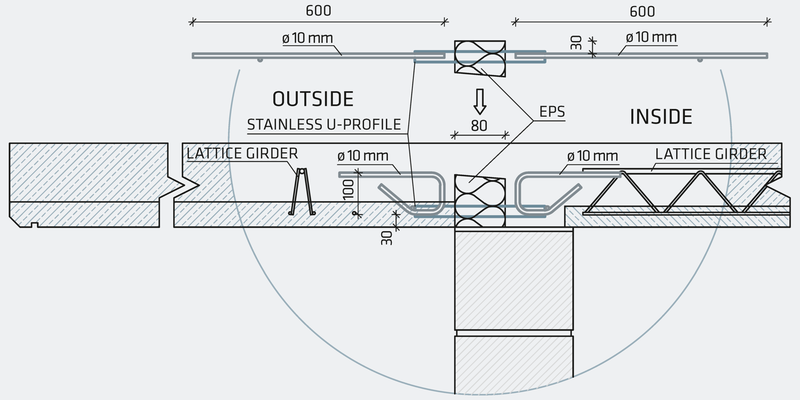 Further possible applications are recessed balconies, parapet walls, porches, platforms and the like. 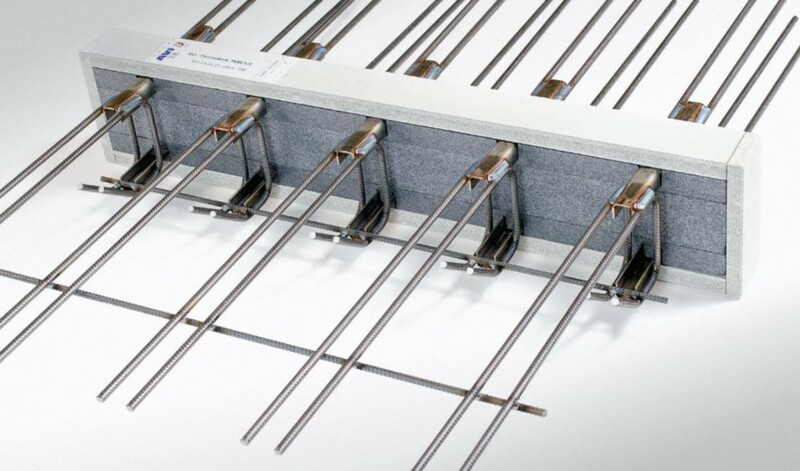 TKM Thermokorb is used for cantilever balcony slabs and mainly for the transfer of bending moments and shear forces. Where the load to be resisted may be both positive and negative, the connector type TKM/G is necessary. 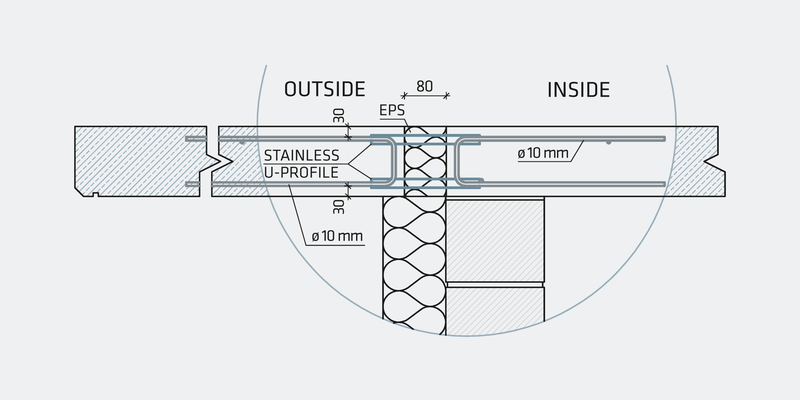 TKA Thermokorb is used in the transfer of shear forces, bending moments and axial forces. It is used for brackets, parapet walls, various connections of prefabricated elements and different levels. The admissible bending moments and shear forces can be determined in in the same way as type TKM. TKF Thermokorb is used for cantilever balcony slabs, especially for the requirements of the prefabricated concrete elements industry (half slabs) in split execution. One part (compression chord) is installed in the half slab in the precast concrete factory; the second part (tension chord) is placed on site. AT/2 Thermokorb is used between parapet wall and floor slabs for the transfer of axial forces, shear forces and bending moments. The distance between elements is chosen according to the prevailing structural conditions. 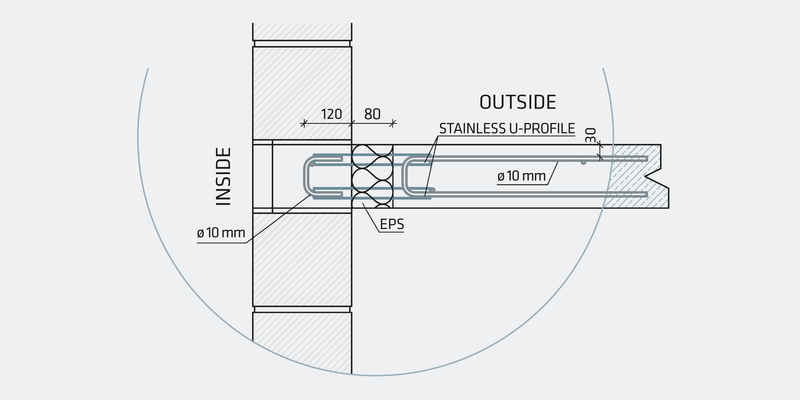 The thermal insulation between insulated balcony connectors must be provided on site.